Did Jesus predict the end of the age – or the end of time? Were his disciples confused about this? Which Disciples Were (Or Are!) Confused? It is undeniable that the Olivet Discourse (Matthew 24-25) is the key to understanding Jesus’ eschatology. It is certainly his longest discussion of the end of the age and his coming. To say the least, the Discourse is the source of a great deal of perplexity expositors. For the dispensationalist, Jesus’ discussion continues to provide fodder for their repeatedly failed prognostications that we are in the terminal generation. This discussion of the Olivet Discourse will not deal with the verses 4f. We are concerned here about Jesus’ prediction of the destruction of the temple and the questions that Jesus’ prediction elicited from the disciples. It is not too much to say that if one has a mistaken understanding of verses 2-3 that their entire perspective of the Discourse is thereby skewed. The proper understanding of the disciples’ questions is critical to understanding Jesus’ response. Here is why. One of the most fundamental beliefs concerning the Discourse is that, yes, Jesus did predict the destruction of the temple. This of course is undeniable. The disciples however, upon hearing of that awful prediction, mistakenly associated that coming event with the end of the age and Christ’s coming. It is not too much to say that the idea that the disciples were confused, or simply mistaken, is one of the most fundamental beliefs about the Discourse. Calvin stated that the disciples: “did not suppose that while the building of this world stood, the temple could fall to ruins.” (John Calvin, Calvin’s Commentaries, (Grand Rapids; AP and A, vol. 7), 462). It seems not to have dawned on Calvin and those like him that the disciples were acutely aware that the temple had been razed in BC 586, and yet time marched on, the space time continuum did not come to an end! Being well aware of that destruction, why then would the disciples have been compelled to think of the end of time in response to Jesus’ prediction? Just a few citations from modern representatives of the various futurist eschatologies will suffice to demonstrate how ingrained the idea is that the disciples were confused about the end of the age. 1.) Dispensationalist Thomas Ice says: “The disciples apparently thought that all three items, destruction of the Temple, the sign of Christ’ s coming, and the end of the age would occur at the same time. Yet this is not the cas.”(www.raptureready.com/featured/ice/AnInterpretationofMatthew24_25_2.html). Ice cites other Dispensationalists that likewise affirm that the disciples were mistaken or confused. 2.) Amillennialist Kim Riddlebarger, says, “It would be quite natural for the disciples to wrongly assume that the end of the age and the destruction of Jerusalem would be the same event. But this assumption may not be correct, for the destruction of temple, cataclysmic as it would be, was not the end of the age, nor did the Lord return in AD 70.” (Kim Riddlebarger, A Case for Amillennialism, (Grand Rapids; Baker, 2003), 161). 3.) Postmillennialist Keith Mathison says:“The disciples’ question indicates that in their mind the destruction of temple and the close of the redemptive history are closely related in time. They do not conceive of any significant temporal delay between the destruction of Jerusalem and the end of redemptive history. Jesus’ response to their question, however, indicates that their understanding is in need of some correction.” (Keith Mathison, From Age To Age, The Unfolding of Biblical Eschatology, (Philippsburg, NJ; P and R Publishing, 2009), 372). All futurist eschatologies are to a great degree reliant on the concept that the disciples were mistaken. Both the Amillennial and Postmillennial paradigms believe that the Discourse is divided into two topics. It is held that in Matthew 24:4-35 Jesus discussed the destruction of the temple. However, we are told that in v. 36 he switched topics and began to discuss his coming at the end of the current Christian age. The dispensationalists on the other hand, claim that the only verses in the entirety of the Discourse that discuss the destruction of Jerusalem are found in Luke 21:20-24. But, what if the disciples were not wrong to link the fall of Jerusalem with the end of the age and Christ’s coming? 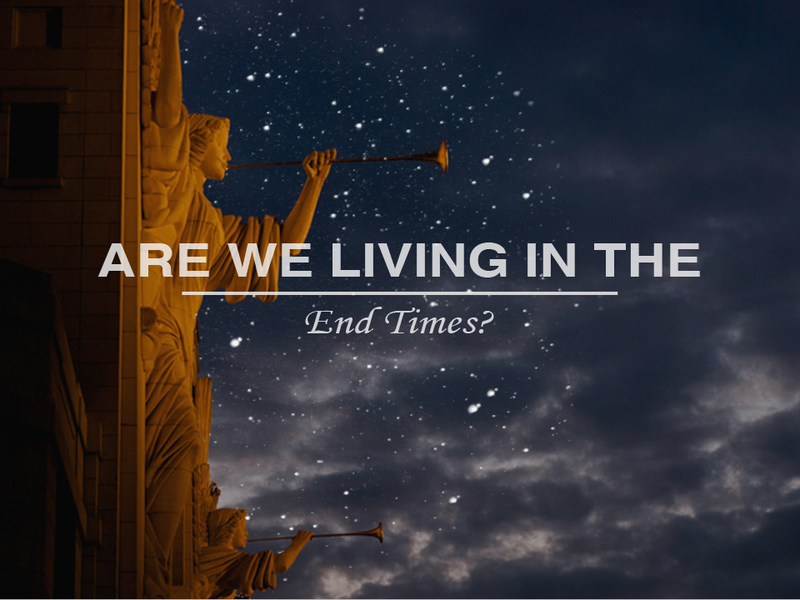 What if they were not as eschatologically challenged as modern commentators claim? If the disciples were right to link the fall of Jerusalem to the end of the age, then patently Israel stands at ground zero in God’s eschatological schema. And not only is Israel established as the key to end times understanding, but, eschatological fulfillment is positively confined to the first century. The implications for all of the futurist eschatologies, if the disciples were not as confused as is commonly assumed, are astounding. The pressing question therefore is, were the disciples wrong to connect the fall of Jerusalem with the end of the age and the Day of the Lord? The unequivocal answer is that they were not mistaken. They knew what “the end of the age” meant. 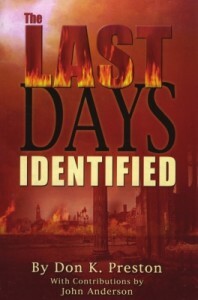 Be sure to get a copy of my book, The Last Days Identified, for a demonstration that “the end of the age” is referent, not to the end of the Christian age, or time, but, to the end of the Old Covenant age of Israel. This book proves beyond any doubt that the end of the age – at the end of the last days – occurred in AD 70. Thank you ????! I believe you’ve summed it up, at least to me unrefutably correct, and it’s deeply appreciated! Previous Previous post: The Resurrection: Two Hours? Two Resurrections?